Our next OT is also a researcher who designed a program that uses writing to explore identity and self-esteem. 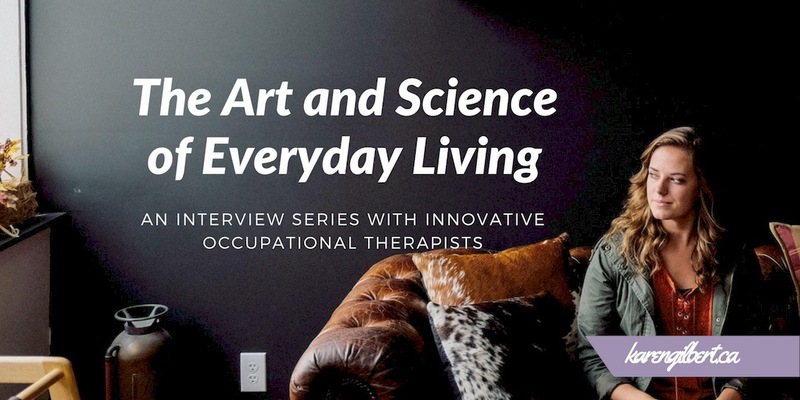 If you feel like your identity has been impacted by having an invisible health condition, you may find pieces of your own story reflected in the words of the occupational therapists interviewed in this series. You may even find a tip or two to help you live your life with more ease, joy and meaning and foster a renewed sense of hope. Dr. Pauline Cooper is an occupational therapist and researcher in the UK who designed Using Writing as Therapy, a six session program exploring identity and self-esteem. After exploring story-telling in her own occupational therapy practice in the National Health Service (NHS), collaborative work done over several years with mental health service users/clients citing loss of identity and inability to progress life issues evolved into the UWaT course and further research. Currently, 33 UWaT clinicians are delivering UWaT™: finding identity, to their clients in physical and mental health settings in NHS and private settings. In addition, new UWaT™ courses have been developed: Using Writing as a Tool (UWaT™): finding a working ‘Me’ (11 clinicians have been trained and are delivering currently) and Using Writing and Talking (UWaT™): finding a deeper faith. 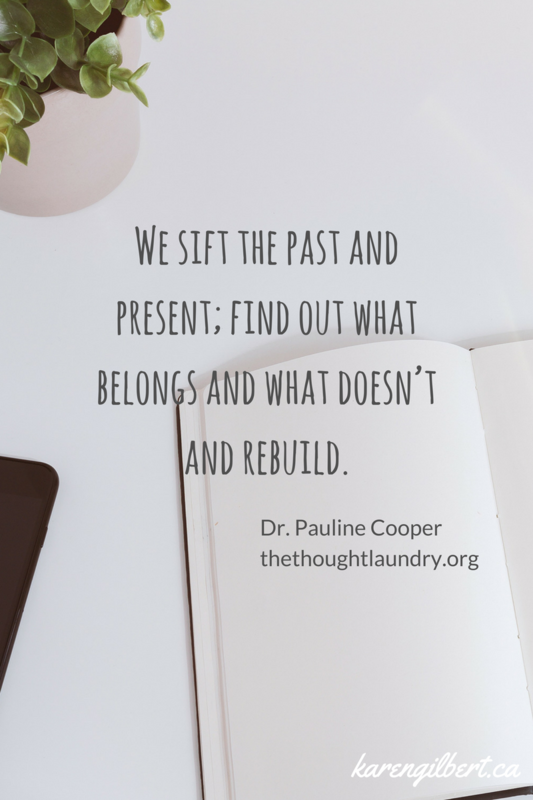 Dr. Pauline Cooper is now Practicing Independently at The Thought Laundry™. I first learned of her work on Jen’s Gash’s otcoach.com webpage Inspirational OT’s Doing it Differently. 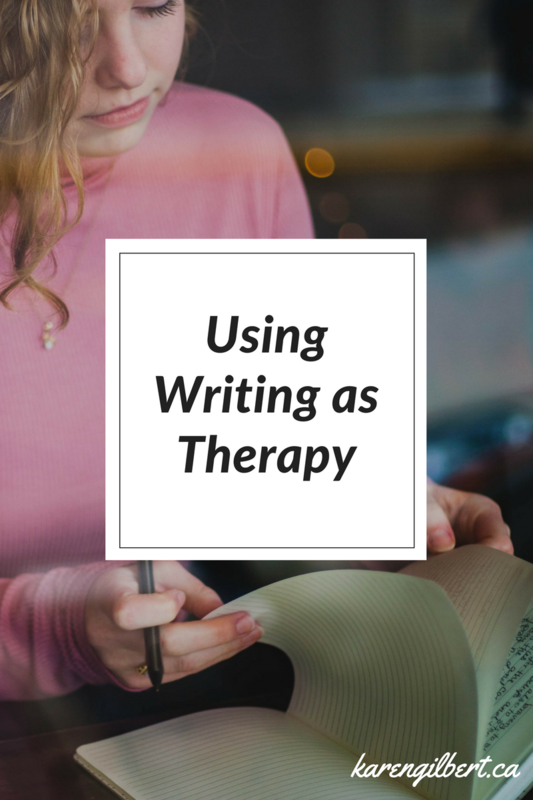 With my own use of writing as a therapeutic tool through the Rising Strong™ curriculum, I was intrigued by Pauline’s research and use of writing as an occupational therapy intervention. I am delighted that she is here to share her insights with us. Over to you, Dr. Cooper! When facilitating Using Writing as Therapy, my role as an occupational therapist is to help people to solve life problems using writing. The exercises in the course were ones that clients had stated helped them make sense of their lives. Through the exercises, I help to clients to reflect, reorganise, and plan for the future. I work with both physical and mental health difficulties. Clients usually come to me saying ‘I don’t know who I am anymore. I feel stuck and unable to move on with my life’. Often this is due to some kind of change in circumstances or health; maybe a diagnosis, illness or accident that has altered his/her own concept of personal identity. The UWaT™ process challenges people to rethink the situation and find new or more meaningful solutions. Indeed. I think semantics are very important. For instance, people can make assumptions about themselves such as: ‘I am stupid’. I ask them to challenge that concept. What does ‘stupid’ mean? The facts need to be separated from the feelings. When you explore the actual meaning, it usually boils down to the fact that there is a lack of education, or someone seen as an authority figure is using the word out of context for some reason. We sift the past and present; find out what belongs and what doesn’t and rebuild. Also, there is a lot of learning about actions and consequences: tracking what actions have, or would, lead to and taking time to plan new actions/endings. Habitually people just don’t take time to think things through. It is also important to consider opinions; if your best friend had told you the same story, what would you say to them? Often it is different; people are too hard on themselves. Gosh, there are so many! 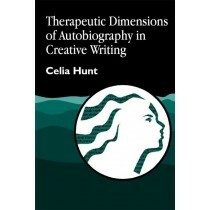 One of the most helpful books was ‘The Self on the Page’: HUNT, C. (2000) Therapeutic Dimensions of Autobiography in Creative Writing. London, Jessica Kingsley. Even though it is a bit old now I think it is worth a read as it endeavours to categorise types of writing for therapeutic means. The author talks about Three Strands of categorizing writing. I think there’s a ‘Strand’ missing, which is where UWaT™ sits and I wrote about this in my thesis. I have described several aspects in my doctoral research such as the importance of the OT keeping the space safe, especially when in a group setting, so that clients can re-evaluate their life story confidentially. Also important is the OTs ability to change roles, as necessary, to facilitate exploration and provide autonomy for the client. This enables the client to maintain focus, which makes the process very personal and comprehensive. The utilisation of writing provides a number of ‘containers’, that allow the process of thought and serendipitous outcomes are common. I detail these containers in the 2014 case study: Using Writing as Therapy: finding identity (see next paragraph for full citation). This has been a very difficult area for me. There is little emerging that seems similar to the UWaT™ process. The research by Pennebaker fascinated me in my early years of using writing, which is basically allowing people to ‘rant’ on the page for 20 minutes on three consecutive days. It is very different to UWaT™ but it does use writing. The method was found to have beneficial effects on the immune system, and was adopted by a variety of researchers, initially into arthritis and breast cancer research. In my clinical experience, clients have had difficulty engaging in the Pennebaker process for more than a day, engaging more readily in and preferring the idea of the UWaT process. I think OT is a way of life. The sense of ‘Adapt or Die’ is particularly poignant in life these days. 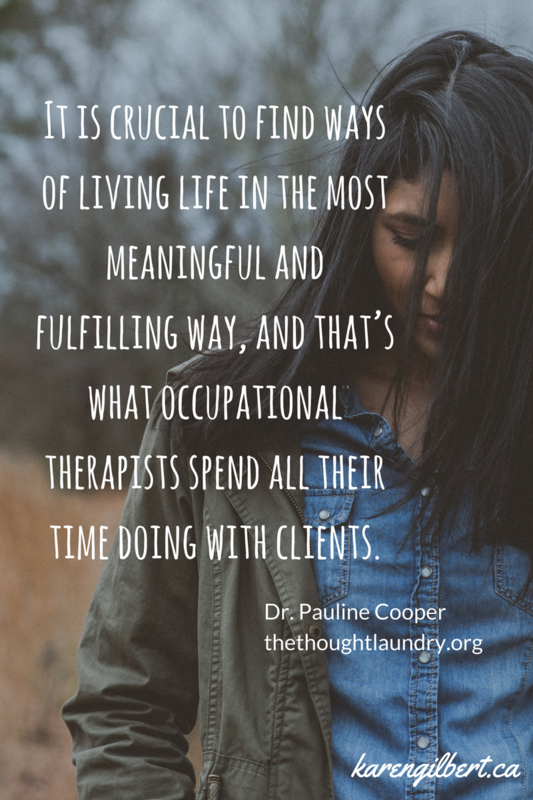 It is crucial to find ways of living life in the most meaningful and fulfilling way and that’s what OTs spend all their time doing with clients. Why wouldn’t I apply that to myself? Any creative activity is high on my list, along with writing, of course, and reading. Walking, listening to good music, looking at the sea, embracing nature, being with my family, and praying. All these things are very restorative and are extremely important to my well being. Hugs from people I love. Praying – especially in beautiful places eg: by the beach, in the garden, in a wood, on top of a hill etc. Breathing in beautiful smells eg: lavender, lemon, washing that has been on the line, coffee, fresh pine, roses, florist shops, etc. I am a Christian, so the Bible represents my core values. I believe every person is unique, even though there are similarities between humans we are, essentially, irreplaceable. No-one else can ever take another person’s place. Lean not on your own understanding. Life is not fair and everybody has bad times and good times. The key is to focus on the good. ‘Nothing is impossible with God’, ‘Be strong and wait upon the Lord’, and ‘This too will pass’ are amongst my favourites. Already off – a ride in a helicopter. I did this in Hawaii – loved it! Remember facts and feelings… Feeling this will never end, change, be any better; these are feelings… fact is there is always good coming – look for it and make the most of the opportunity. Also – there is a lot of benefit in sharing experiences and in writing them down. 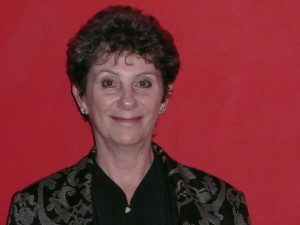 Dr. Pauline Cooper qualified as an Occupational Therapist in 1974. She explored story-telling in her own occupational therapy practice in the NHS. The collaborative work done over several years with mental health service users/clients citing loss of identity and inability to progress life issues evolved into a course of six sessions called Using Writing as Therapy (UWaT): finding identity. Research into UWaT resulted in a Master’s Degree (2001) and Doctor of Philosophy (2008) by Dr. Cooper at the University of Sussex. Dr. Cooper is now Practicing Independently and you can learn more about her practice at The Thought Laundry™. You can also find her on LinkedIn and Twitter.